It's a team effort to put together the Winter Olympics, happening this month in Sochi, Russia, and FiveCurrents is aiding the process. The Monterey, Calif.-based event producer has been working with the Olympic and Paralympic ceremonies since 1996. 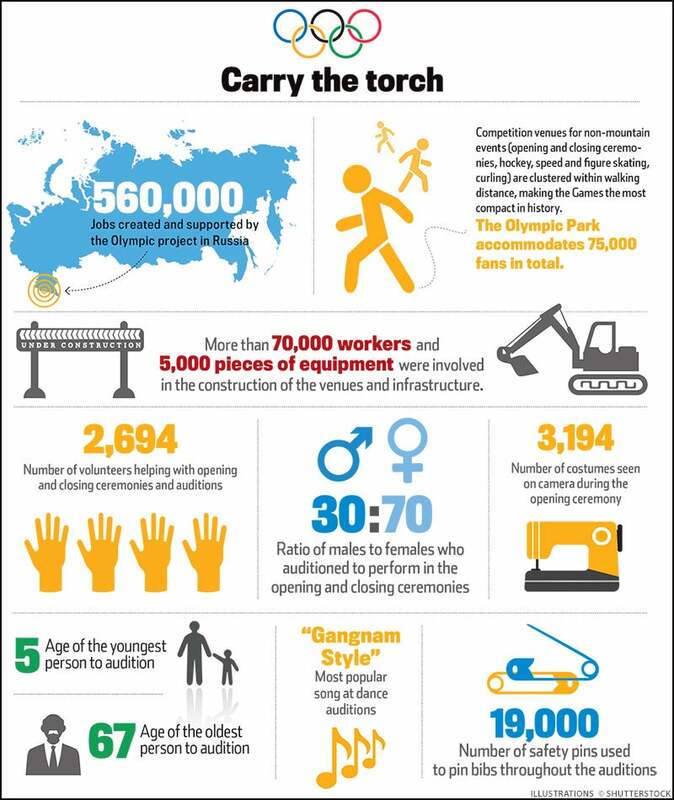 Here are some of the facts and figures that should make the XXII Olympic Winter Games--which will feature 6,000 athletes and team members from approximately 85 countries over 17 days of competition--a winning event.